Welcome to the Hôtel Miramar in Cap d’Ail for the quintessential Côte d’Azur experience, with warm weather, luxurious greenery, and stunning landscapes between the Mediterranean and the mountains. Here, we have everything you need for a perfect stay on the French Riviera. Take in the unique spectacle of the sparkling sea all day long, and relax in the sun. The Hôtel Miramar welcomes you to Cap d’Ail for your perfect stay on the French Riviera. Our two-star establishment has 25 comfortable rooms and a terrace with sea views. The azure blue of the Mediterranean sea and sky, fragrant flowers and citrus, prestigious sporting events and festivals in nearby Monaco… Savour all the riches of the Côte d’Azur. Whether you’re here for business or pleasure, as a couple or with family, the Hôtel Miramar offers a friendly and professional welcome, in a superb setting. 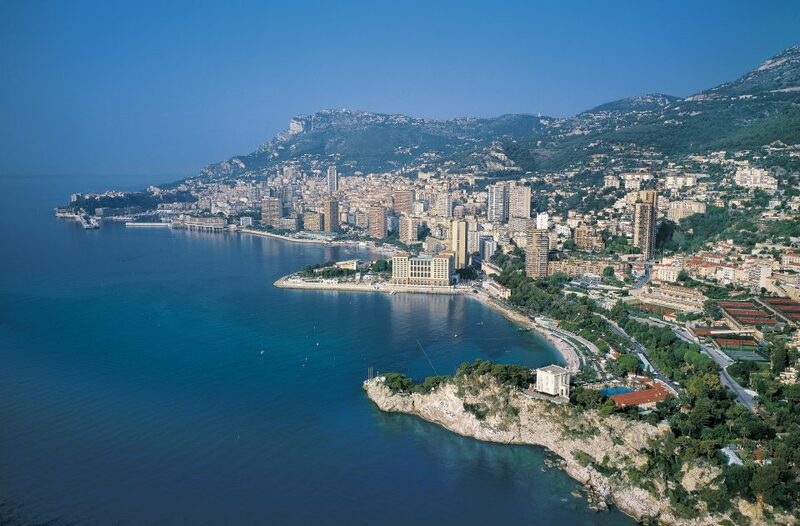 Just a few minutes from the Principality of Monaco, the hotel also makes an ideal base from which to visit the whole region, including Menton, Nice, Saint-Tropez and the surrounding area. You might even hop across the Italian border to explore San Remo or Genoa. A stylish collection of black and white photographs depict scenes from Cap d’Ail’s past, while poster art from various Monaco Formula One Grands Prix through history serve as a reminder that the Principality is a mere stone’s throw away. Meanwhile, our terrace is the ideal place from which to enjoy the ever-present Mediterranean Sea, whether for breakfast, pre-dinner aperitifs, or simply settling back and relaxing. The choice is yours. 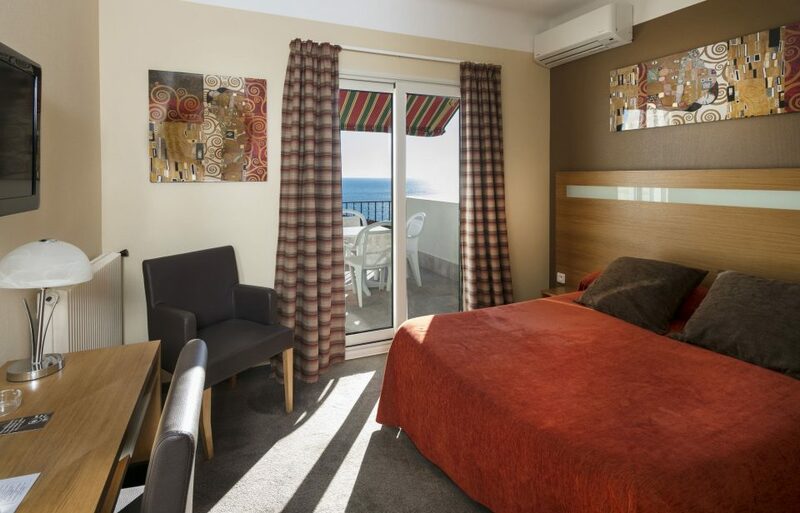 Our 25, fully-equipped rooms are all pleasant and comfortable, ideal for a weekend, overnight stay, or perhaps a longer vacation in the Alpes-Maritimes, on the edge of the Mediterranean, in a welcoming hotel with a personal touch. Take advantage of the gentle morning temperatures to enjoy breakfast on our terrace facing the sea… The perfect start to your day. There are many high quality restaurants nearby serving various styles of cuisine, and we will be happy to recommend one to suit your tastes. 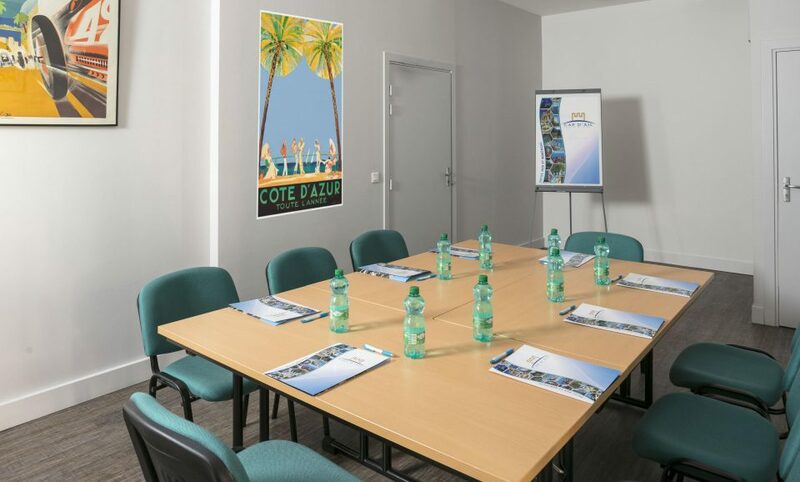 The Hôtel Miramar has a conference room with access to the terrace at certain times, for hosting your professional or private events. – Capacity: Up to 30 people. – Equipment: video-projector, paperboard, Wi-Fi. – Purposes: training, seminars, meetings, catering services, family gatherings, cocktail parties. The entire venue can be hired privately. We work with local partners to provide a comprehensive catering service. Please don’t hesitate to contact us to discuss your requirements.